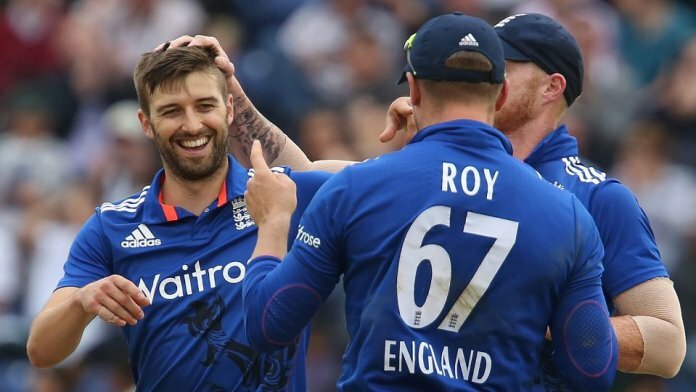 England take on West Indies in a 5 match ODI series starting Tuesday night at Old Trafford. After a much closer Test series than anticipated, a buoyant West Indies now turns their attention to their preferred white ball. They have regained some stars that will only heighten their mood and optimism. The series is another step for England to develop a side that aims to be highly competitive at the next World Cup. England has all-rounder options with Stokes, David Willey and Moeen Ali. Ali was mainly seen as bowler that was handy with the bat, but at an average of just under thirty, with a strike-rate over a hundred and having etched two hundreds next to his name, he is better than that. England has picked a full-strength squad. There were thoughts that some players might be rested at the end of a long season of cricket, but a few stars were only left out of the T20 team. Eoin Morgan returns to international duties and will slot into the middle order and the captaincy role. His batting approach varies depending on the state of the game. If the heavy hitters such as Alex Hales, Jason Roy, Ben Stokes or wicketkeeper Jos Buttler get going, Morgan will look to rotate the strike. He can also stabilise an innings, along with star batsman Joe Root, if early wickets tumble. Adil Rashid has shown he can bowl in tandem with Ali, particularly through the middle order. Chris Woakes is the most experienced quick in the English squad with 63 caps. Just behind him is Liam Plunkett, while the inexperienced Jake Ball and uncapped Tom Curran could get a run. The West Indies squad is headlined by some big inclusions. Chris Gayle will play his first one-day international since the World Cup. He is one of the world’s most damaging players and his record of over 9,000 one-day runs and 22 hundreds supports that. Marlon Samuels also returns and his experience of over 5,000 one-day runs and ten hundreds bolsters the middle order. The query is how both players will go after a long absence, especially considering they are 37 and 36 years of age respectively. Kyle and Shai Hope are the other ones to watch. Kyle was consistent last up against India, while Shai was crucial during the West Indies Test win against England in Headingly, where he made centuries in both innings. Jerome Taylor is the other notable returnee. The fast bowler has 126 ODI wickets next to his name. He joins his captain, Jason Holder, in the bowling line-up. The other bowling positions are up for grabs with Devendra Bishoo, Miguel Cummins, Alzarri Joseph, Ashley Nurse and Kesrick Williams all fighting for positions. England has moved up to fourth on the ICC ODI rankings after some recent good results. They have won five of their last six ODI series, including a 2-1 victory over the top-ranked South Africans. The West Indies have not won an ODI series since 2014 when they beat Bangladesh. The best they mustered since then was a drawn series against Afghanistan. England and the West Indies met for a three match ODI series in March. England won the series 3-0, with the last game being a 186-run thumping. England has won the last five ODI series against the West Indies. The West Indies last series win over England was in 2007. Since the West Indies last ODI series win against Bangladesh, they have recorded 5 wins, 21 losses and a handful of no results.